Written on March 13, 2015 . Posted in Announcements + Updates, Architecture and Design. The work expands on the methods implemented in a design studio, taught at INTAR last semester. 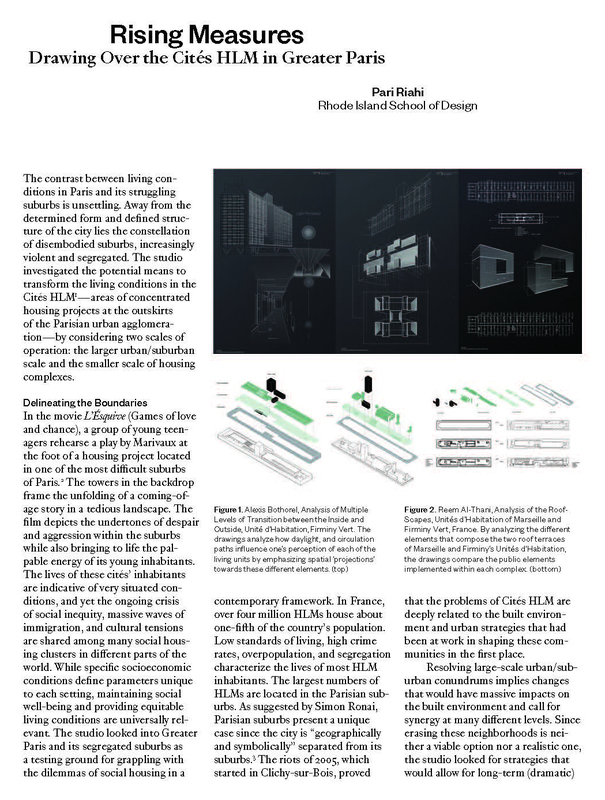 Investigating the constellation of disembodied suburbs of Paris, the studio researched the potential means to transform the living conditions in the Cités HLM – areas of concentrated housing projects at the outskirts of the Parisian urban agglomeration – and put forward scenarios of adaptive reuse for large complexes of social housing. The article is a critical assessment of the questions, processes and outcomes of a collective investigation on dwelling marginally on the outskirts of a large metropolis.